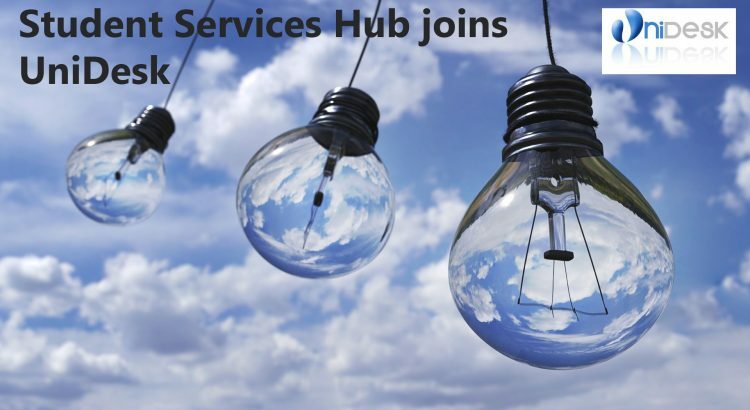 The Student Services Hub team are joining UniDesk. UniDesk is your first point of call for a wide range of student enquiries such as Library, IT and now the Student Services Hub. The Library, the Library Catalogue, your Library Record, Research Guides, A-Z Online Resources, e-Journal Gateway, STORRE, Document Delivery, Archives and Special Collections and Resource Lists for Students. Your Computer Account, Email, Connecting your Device to our Network, Computer Labs, Printing and Photocopying, Viruses, Phishing and Malware, Purchasing Advice, Software Guides (e.g Succeed, Refworks, Microsoft Office, SPSS, Lynda.com, Minitab, Nvivo and blackboard Collaborate), planned maintenance and Online Surveys. Academic Registry, Careers and Employability, Income Office, Student Learning Services and Student Support Services. 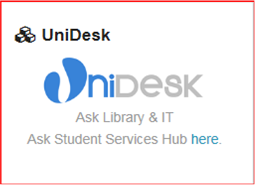 Look out for the new UniDesk Ask Library, IT and Student Services Hub button on the Portal. This will take you to the University of Stirling – UniDesk Self Service page. You simply select the service you would like to enquire about; Library, IT or Student Services Hub and your enquiry will be logged to the relevant service. You don’t need to worry about how to contact. UniDesk will allow us to do that for you.